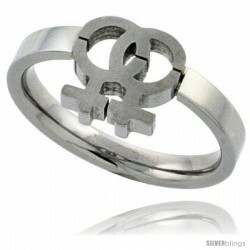 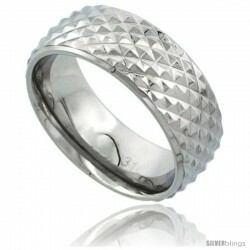 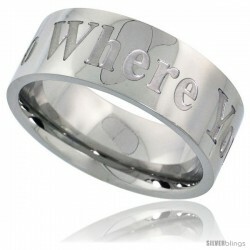 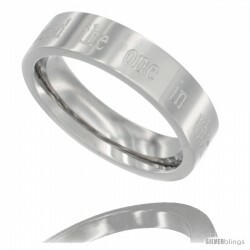 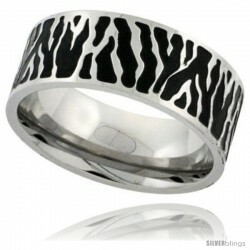 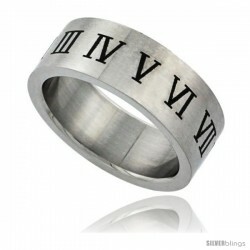 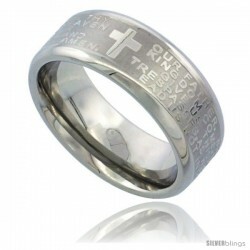 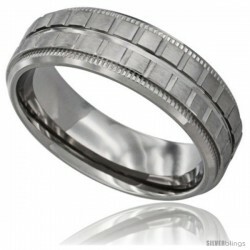 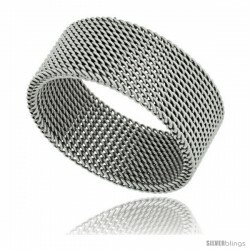 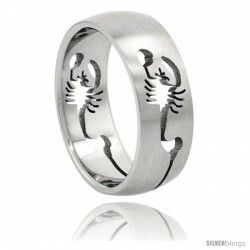 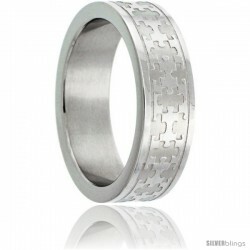 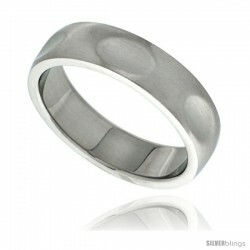 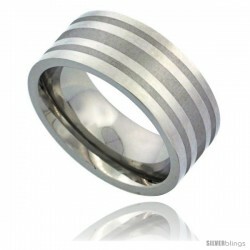 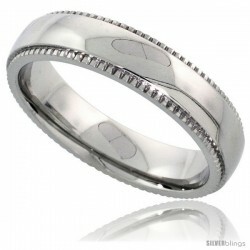 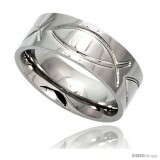 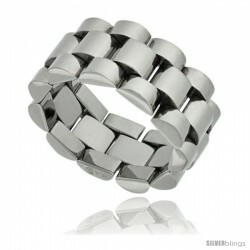 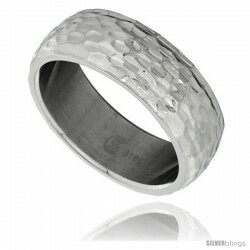 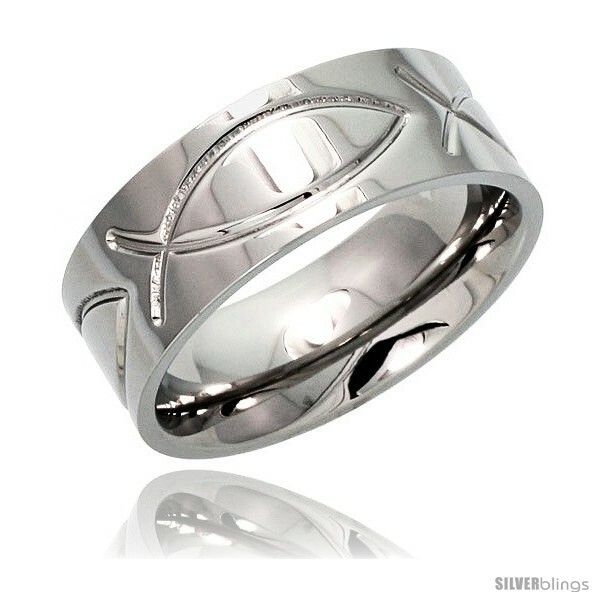 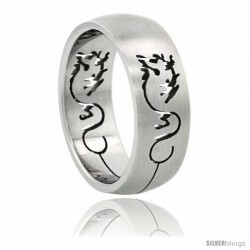 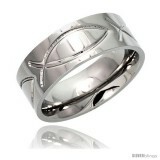 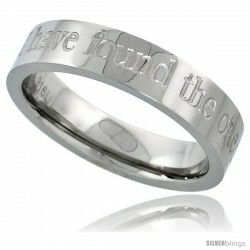 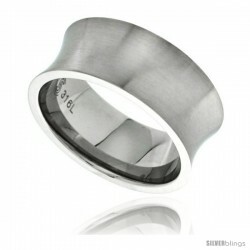 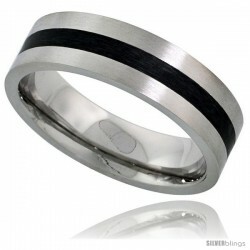 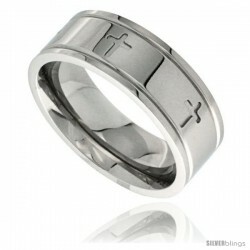 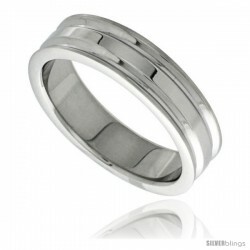 This classy Wedding Band crafted of Stainless Steel is sure to add to any ensemble. This Quality Stainless Steel Band is made of Low Nickel 316L Hypo Allergenic Surgical Steel, and is no different than the ones you can pay $60.00 to $200.00 for. 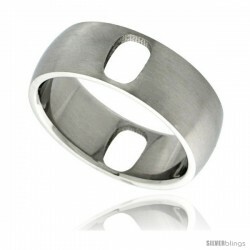 It is 5/16" (8 mm) Wide. 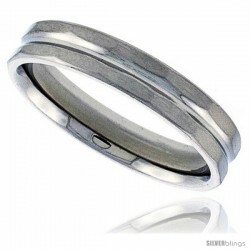 And is Rounded inside for a very Comfortable Fit. 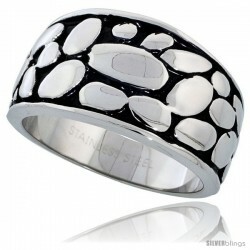 Sizes 6-14, including half sizes are available. 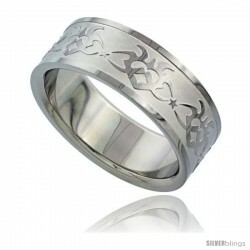 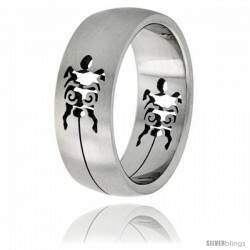 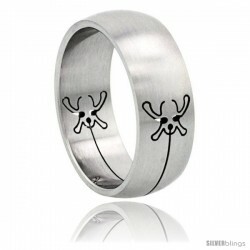 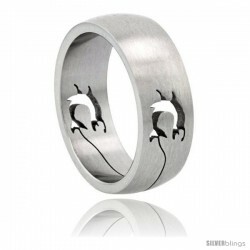 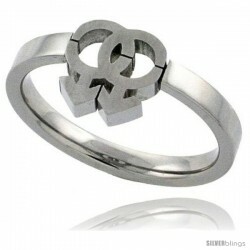 But the reason this ring is more expensive than our other Steel Rings is that the design is not molded or Laser Printed, the pattern is Carved Individually in every ring, which gives it a much more dramatic effect.